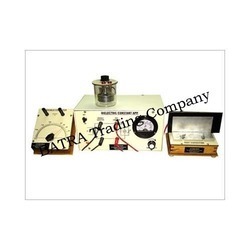 Our range of products include air wedge - thickness of a thin wire( travelling microscope), tunnel diode characteristics apparatus, electric kettle apparatus, ujt charterstics apptratus, thermocouple trainer kit and hartley oscillator. 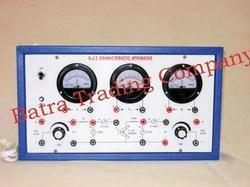 Features : Instrument comprises of DC Regulated Power Supply of 0-600mV, two round meter for voltage & current measurement. Circuit diagram is printing on front panel & important connections brought out on front panel. Gained prominence in the industry as one of the illustrious manufacturers and suppliers, we are engrossed in providing Electric Kettle. Highly efficient in performance, the offered kettle is developed utilizing high-grade raw materials that are sourced from authentic vendors of the market. Post-production, the offered kettle is checked by our team of quality controllers to ensure flawlessness. Complete with thermocouple sensor, thermometer, glass beaker and instruction manual. 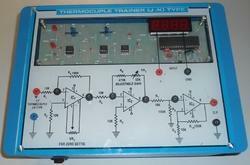 Inbuilt regulated power supply ±12 volts DC, null balance and amplification circuit. 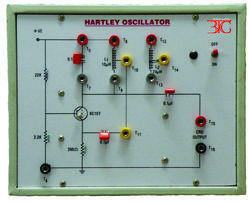 We are engaged in offering Hartley Oscillator to our valuable customer. To calculate dielectric constant of solids. The instrument consists of high Frequency R.F. Oscillator of 8MHz. of tuneable Frequency with a Gang Condenser Optimum Resonance point is indicated on meter. The change in meter reading after placing dielectric material between parallel plates can be detected and difference can be noted for calculation. Objective : To Plot Frequency Vs. Current Characteristics of LCR circuit when connected in series or in parallel. 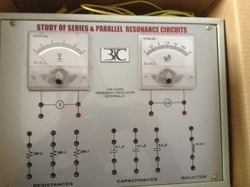 Features :Instrument comprises of 3 Resistances, 3 Capacitors & 1 Inductance connected inside & connections brought out at Sockets. 2 AC moving coil meters to measure voltage & current. 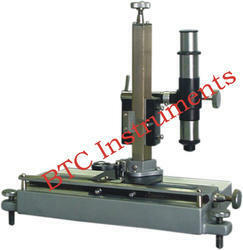 Being a client-centric organization, we are engaged in manufacturing and supplying Planck's Constant Apparatus. Under the guidance of experienced engineers, the offered apparatus is manufactured in adherence to the guidelines laid in the industry. before final dispatch, the offered apparatus is checked on various parameters to ensure flawlessness. Since our commencement, we are engaged in manufacturing and supplying a wide array of Solar Cell Characteristics Apparatus. At our end, the offered apparatus is manufactured with the aid of modern machinery and cutting-edge technology that is installed at our premises. To suit the demands of clients, we are providing this apparatus in varied specifications at market leading prices. Looking for Practicals Physics Engineering ?